We cannot deny the fact that Alexa is so important because this is the leading provider of free, global web metrics or website ranking. And with this information, most of us, bloggers use analytics to compare our blog ranking to others or just to show how popular our blog on the internet is. Because of popularity, we are able to lift up ourselves to the top and you know what happens next. An Alexa Ranking is gained by the level of traffic a website receives, based on the number of people who visit the website, with the Alexa Toolbar (or Add-On) installed within their browsers. 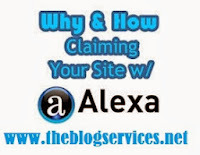 With this tutorial, you will be able to learn how to claim your blog site on alexa. The details that you are about to learn here is essential for you to manage well your website. And tracking your Alexa ranking is important so that you will be able to know what to do with your site and what part of it you missed a lot. This is also your guide in providing a way to make it improve. The first step to improve your ranking is to claim your site on Alexa and submit your blog details. Step 1: Go to Alexa Website and register an account. You may use facebook signup for faster signing up. Step 2: Login with your Alexa account using your email used to signup or facebook account login. Step 3: Go to your Account Dashboard then click "Add a Site"
Step 4: On the next page I recommend you to choose Free plan. Click on Sign Up button under “Free Plan”. Step 5: Enter you website homepage link on the box provided then click signup. 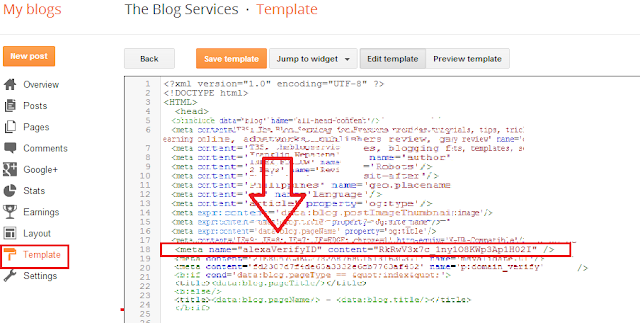 Step 7: Login to your blogger Dashboard >> Templates >> Edit Html then add your alexaVerifyID tag below <head> of your blogger blog. 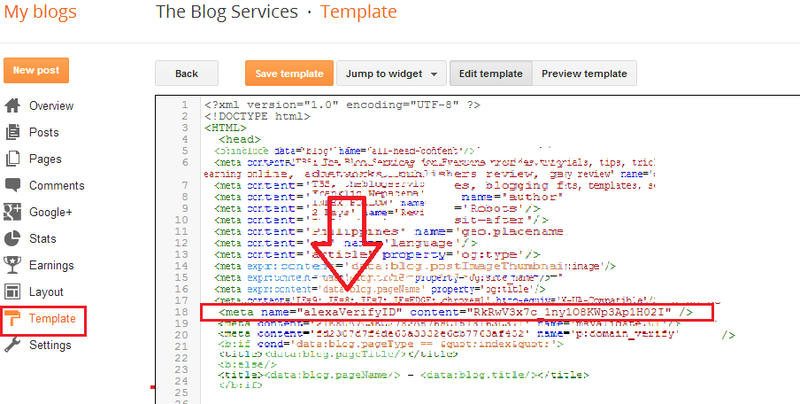 Step 8: After adding meta tag in your blog, go back to alexa and click on “Verify my ID” button. Step 9: If everything is right, you will receive a confirmation message like below picture. 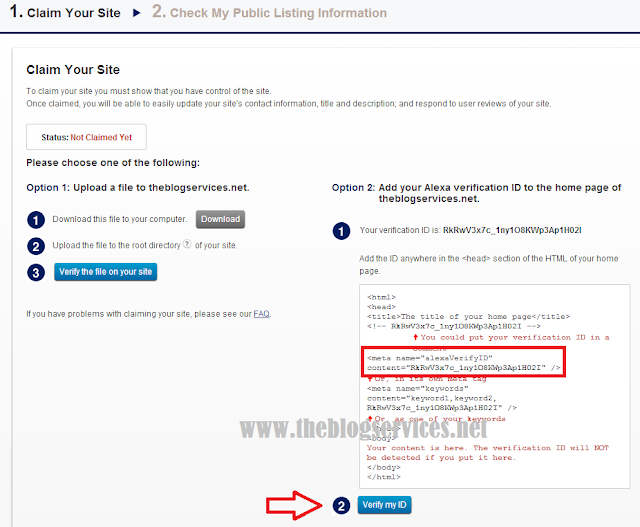 Claiming your site on alexa is essential if you want to show your real alexa ranks on public and consider installing alexa toolbar on your computer for better alexa rank. Most of high paying adneworks only accept those website with good alexa ranks (100k or better) on their publishers program, so if you want to join them claim your site now on alexa and work for better alexa rank standing. How to add Alexa Site Stats Button on your Site? 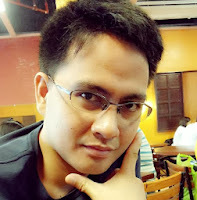 Just visit this link and generate your alexa stat button for your site. Thanks for the tutorial, Just claimed mine this night. wala napo sa ngayon, but you can have the free trial then just cancel it later before the first month ends then it will be free after cancelling the free trial. ok thanks ganun pala.may isa pa akong katanungan why d nagbago ang numbers sa rank button ko kahit nakita ko sa toolbar na may changes na sa ranking ko? usually the toolbar is updated delayed up to 2 days on your actual alexa rank.